Watching people deeply indulge in their cell phones is a common phenomenon these days. In contemporary society, a cell phone is a “Whole New World” for a modern individual. Smartphones have everything for everyone as it fascinates Gaming addicts, Talkoholics, Music Crazies, Internet enthusiasts, and Aspiring photographers. The most significant aspect of Smartphone is that you can use the unlimited internet whenever and wherever you want. But Smartphone with bad Wi-Fi connection is of no use, as you can not enjoy speedy downloading, Clear Voice and Video calls, Online gaming, Viewing videos and listening to your favourite songs etc. To save oneself from such hassles you need to Improve Wi-Fi Signal Strength on your Smartphone. 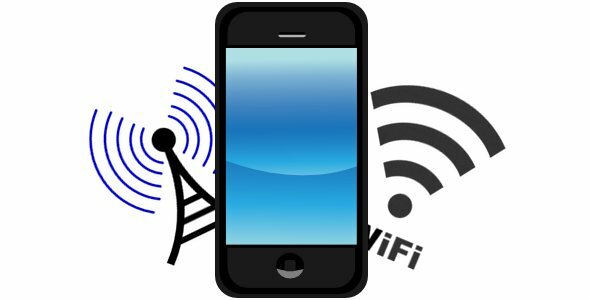 Here in this tutorial, you will learn How to Improve Wi-Fi Signal Strength (wifi signal booster) on your Smartphone using the below mentioned simple Guide. 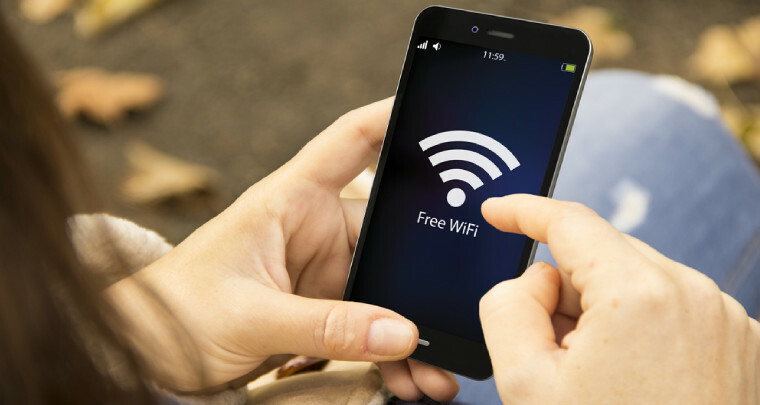 Being always close to a WiFi hot-spot is not guaranteed, and even if we have a home wireless network, sometimes it’s just not powerful enough for smartphones and tablets to pick up everywhere. Now, this is a big problem for the people who are completely reliable on the Wi-Fi on a daily basis. Poor signal strength could be your carrier’s fault, or it could be because of signal-blocking materials in your home’s walls. Whatever the cause, you can boost that Wi-Fi signal (wifi signal booster) and get the maximum number of bars at home. Some of the users find the apps which are helpful in this case but the fact is that it is just an app that realises you that now there are no options left. The Optimizer apps are available online that often make questionable claims. Instead of going through that headache, here is a way that ensures your home or works Wi-Fi signal reaches your smartphones. This is technique is a bit foolproof but will actually get you better signal strength. It simply has nothing to do with your smartphones, so you can perform it using a Windows Phone, iOS, or Android devices. Before you can carry on, firstly you should access your router’s interface using a browser by typing 192.168.1.1 in the address bar or some have a different IP address such as 192.168.2.1 or 192.168.0.1. 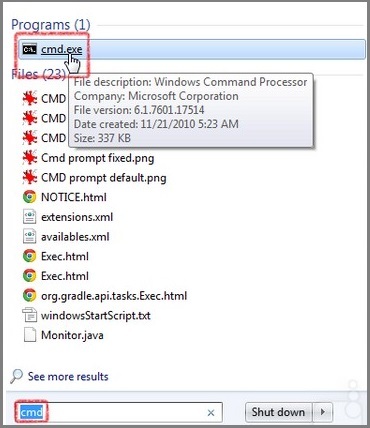 Then type and launch cmd.exe from the Windows start menu on the bottom left of your desktop, to find out that whether your Windows PC is connected to the same network or not. Once cmd is launched a dialogue box will appear on the screen. 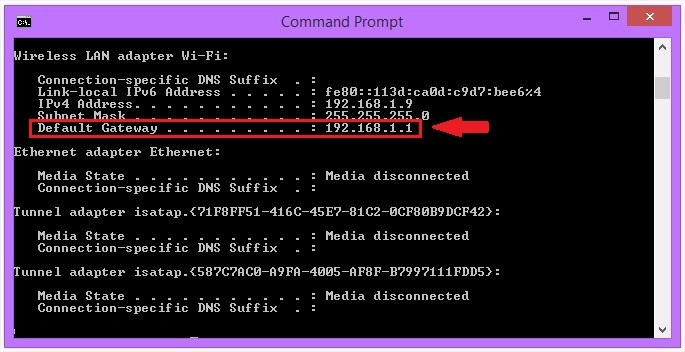 Then type ipconfig and it will show the Gateway or the IP address of your Wi-Fi adapter, note it down. Switch to your smartphone for the next step. Now enter the default IP address on the mobile browser’s web address bar and wait for it to load. After it loads you are shown with a pop-up window which asks for your username and password to access the router’s settings. Usually, the user name is set as admin and password is set as a password for this purpose. In case that doesn’t work with you, you’ll need to check the brand of your Wi-Fi router and then search for the default combination of username and password for your router through Google search. Sometimes the username and password both are set as admin. 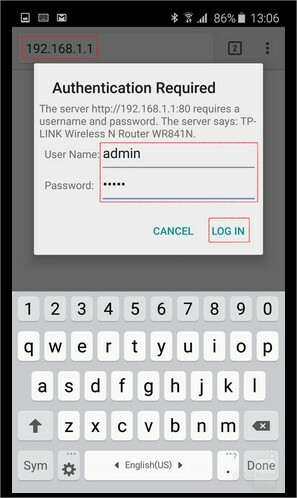 Once you get pass the log in screen, you will be shown a web interface that will differentiate depending upon your router brand. 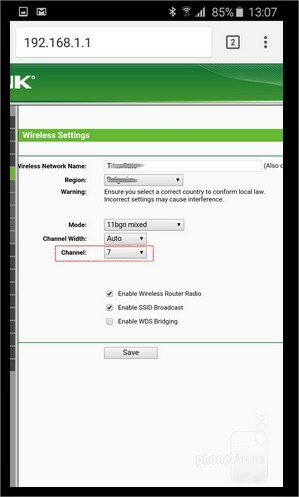 There you can easily find the option of Wireless, go to the Wireless settings. Then the option which is of your priority is Channel. This will let the router identify the frequency at which to transmit the Wi-Fi signal. As we all know if we are not connected to the network then others who are also using the same network will get a better internet access as there will be less interference. The next step will explore your adjacent networks to spot which channel is optimal. To perform the following technique you will first need specialised software or an app for your smartphones. 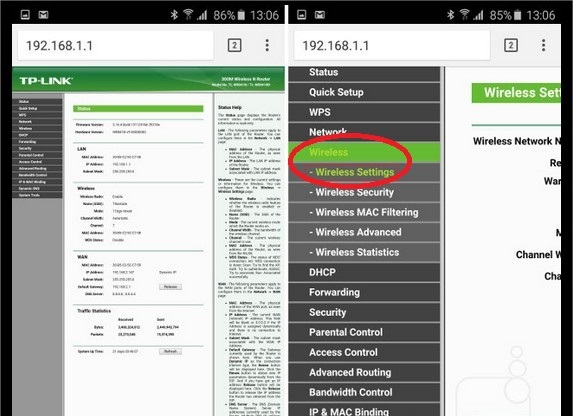 The Android app is named as Wifi Analyzer, which is available for free in the Play Store. Now, moving on let’s assume that some of you are using the old 2.4 GHz routers with up to 14 channels available depending upon your region from where you belong to. Now, you will find that one of the fourteen channels has the least interference which is rather the sweet spot or the most suitable point. Unfortunately, someone could have easily occupied the surrounding networks interfering with your signal. Now this will need your testing, but rest assured that if you are sitting on an overcrowded channel then you are required to change your channel to get some returns on your time investment. In this method, you can increase your Wi-Fi Signal Strength on your Smartphone. If you face any issues while applying this process, let us know in your comments below. We will help you to solve the issue as soon as possible. i am face this problem low WiFi signal this post is very helpful for me.i try this. Thanks for sharing keep up it.